Hey everyone! I hope you’re having a good week, especially after the amazing tournament from last weekend. The new set came, new decks came, and now we players are left with a new meta to articulate. Some decks underperformed, and some decks surprised people with their performance. One thing that didn’t surprise me at all was the vast diversity of different decks present. Lost Thunder didn’t strictly eliminate any pre-LOT archetypes, but it added multiple. Former decks have adapted to survive. Overall, we went from a undefined format to one with a clear BDIF: Zoroark-GX/Control. In fact, Zoroark-GX/Control was one deck that Sam Chen and I considered for the tournament. The main group of pre-tournament communications was him, Rahul Reddy, Nathalia Fernandes, and myself. We had plenty of decks on the table, though Gardevoir-GX/Alolan Ninetales-GX and Zoroark-GX/Stage 1s were the favorites. Sam and I reasoned that if there was one deck that would conquer the format, it would be an optimal Zoroark-GX/Control list. However, us sleep deprived and only with a few hours of testing, we decided to optimize whatever lists we had access to rather than trying to break the format. We ended up settling on a variant of the Zoroark-GX/Stage 1s list handed to us by Rahul, tested by Peter Kica and a few others in the weeks prior. Most of these were amazing, but the change to adding Counter Gain was completely useless. Dangerous Rogue GX doesn’t happen often in this meta, and usually we’re tied or leading on Prizes anyways. An Escape Board was the card we cut, which certainly would’ve been better (but wouldn’t have changed my losses). This list is relatively different from what I posted before, only because a lot of the changes I made ended up to be unnecessary or the wrong techs. Sparse excesses like 3rd Lele, Fairy Ninetales-GX, and Weakness Policy ended up being unnecessary in this meta. The thick Banette-GX and Weavile line made their way into this deck as counters to the One-Prizers and Ability-heavy Stage 2 decks that debuted, like Granbull and Decidueye-GX/Alolan Ninetales-GX. In a way, this is a more refined Philly list with the added Weavile and Garbodor swapped for Lycanroc-GX. The single gust from Lycanroc-GX provides plenty of utility against everything while also allowing for a focus on Banette-GX and Weavile so other matchups remain favorable. As I said previously, the only obvious change I’d make is the Counter Gain for the Escape Board. With that, I think the list would’ve been perfect for the blind meta of Brazil. Counter Gain is simply too niche of a card, but Escape Board is great in complimenting Shady Move and increased mobility. Most decks have omitted Field Blower, and the immediate free-Retreater is great when multiple lines are available based on top-decks/Trades. Moving forward, the deck needs to be adapted to beat Zoroark-GX/Control. Currently, there’s nothing that can be catastrophically Limitation-locked other than Lycanroc-GX. In that matchup, there’s just simply no reason to bench Rockruff or Evolve it. Tapu Lele-GX can swing for enough to OHKO Sableye with a Double Colorless. Really, the deck just needs an Oranguru UPR. Limitation is still incredibly dangerous, but can likely be managed. Escape Board would make this matchup fine enough, giving a turn of Resource Management through Limitation, but a Switch would be better since it can be shuffled in with Resource Management. Weavile UPR is the MVP in this matchup because it can OHKO their Zoroark-GX with only 3 Abilities in play given the +60 damage combo. Another idea I wished I’d have tinkered with was Lysandre Labs. This would’ve been amazing at preventing Spell Tag in spread Malamar. I think this matchup is already favorable, though it may be worth considering if these powerful Tools are emphasized. Lastly, the one thing I want to make work is a combo with Morty. 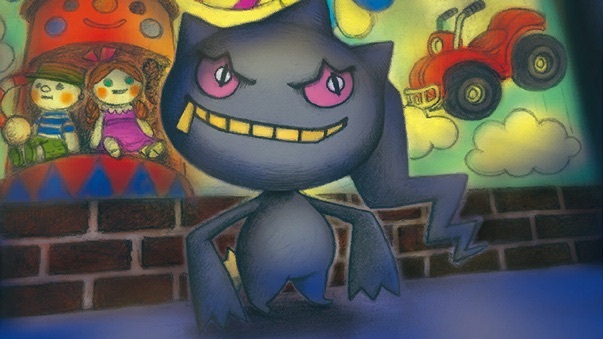 I don’t think there’s enough of a reason to do so though, since we never want Banette-GX to die. It’s also incredibly slow; many decks have engines like Oranguru, Zoroark-GX, or Swampert and could get out of it anyways. Banette-GX still holds value in beating up Fighting decks and one-Prizers. It’s amazing against Spread, Granbull, Malamar, Buzzwole and Blacephalon. Its best aspect is the constant PlusPower each and every turn it’s sent active. This works insanely well against the one-Prizers and in setting up various Pokémon for knockouts. Of the three support Pokémon, Banette-GX was easily the MVP. (Now, this is likely because I played against 0 Stage 2 decks and only 1 Zoroark-GX deck. However, it shows just how good it is as a backup, versatile attacker.) It had more uses than I could imagine, especially against decks that target Zoroark-GX through the use of techs or Shrine of Punishment. Weavile is for the Ability-based decks, obviously. These come in the form of Alolan Ninetales-GX/??? and Zoroark-GX/???. Likewise, there are many decks that use Abilities sparsely though Weavile can take 2HKOs or a quick OHKO. Weavile was very good against all decks in forcing 7 Prizes. It’s simply an efficient attacker. Any Guzma attempts to KO Bench Pokémon can be shut down by Acerola easily, or can be disregarded while you continue to beat down the opponent. The 2-2 line was to guarantee that I had access to it against Decidueye-GX/Alolan Ninetales-GX. The list originally ran a 1-1 line, but there was no way I was surviving with only 1 Sneasel and 1 Ditto ♢. It was simply too easy to prevent Weavile, the win condition. With the 2-2 line, it’s very easy to continuously stream. I never actually attacked with Lycanroc-GX, but I imagine it was incredibly invaluable throughout the weekend for Bloodthirsty Eyes. Mainly, it’s great for getting the singular swing turn of Acerola + Gust, especially against Granbull. The main way to win that matchup is to out-heal them while taking knockouts on Magcargo or Oranguru. This is easily done with Guzma—Lycanroc-GX provides insurance and a key Acerola. I didn’t face any of the Stage 2 decks where Dangerous Rogue GX would be good, but that’s its other use. Dangerous Rogue GX is there to take care of beefy Stage 2 Pokémon like Gardevoir-GX or Decidueye-GX that can otherwise win the game through Max Potion. It’s relatively easy to create the threat against them since Rockruff would have already evolved, and they aren’t putting on tons of pressure. This deck functions as it was before, but with plenty of shiny new techs. Professor Elm’s Observations and Ditto ♢ are the new sources of glue that holds the deck together. The third evolution line is very easily implemented with these additions. Against Zoroark-GX/Control, put on as much pressure as possible and force them to evolve into multiple Zoroark-GX. Weavile is the win condition since you’re a finite deck. With Oranguru UPR, it becomes a little bit more different since you can shuffle in more resources. You want to still win with weavile, but make sure to leave yourself enough resources to survive Limitation and Enhanced Hammers. Don’t bench Rockruff or evolve into Lycanroc-GX since it’s very easy for that Pokémon to get trapped by Limitation. This is a matchup that isn’t winnable on paper, but is perfectly winnable in practice. You just need to constantly put on pressure and time Tomb Hunt GX on a good turn that dodges Team Skull Grunt. At worst, you keep one Energy from it that can be used to Evil Admonition for two Prizes. 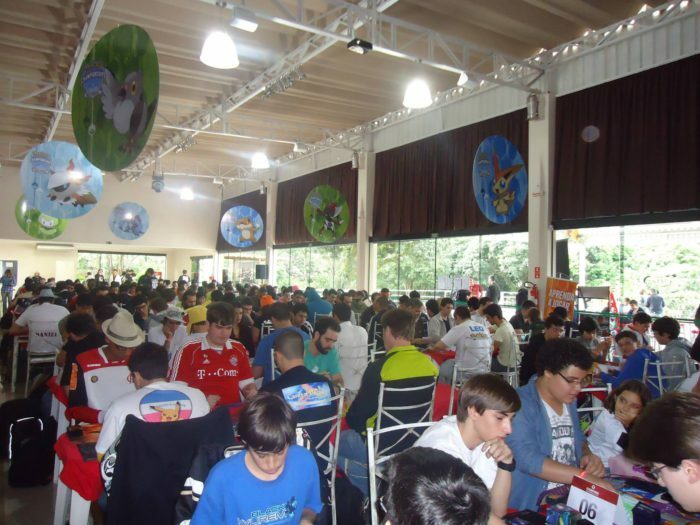 Against Blacephalon-GX/Naganadel, the goal is to put as many Zoroark-GX into play as possible (and take Prizes as quickly as possible). It’s sometimes possible to pull off the dream of fully denying Beast Ring with Shady Move, but it’s incredibly unlikely. It’s only realistic when going first. Moreover, you usually need to kill a Poipole on T2 so that you only need to KO a Blacephalon-GX and Naganadel on the same turn rather than two Blacephalon-GX. The way to get 170 damage is with 6 Pokémon + Choice Band + Professor Kukui, or that with a Shady Move and Devoured Field in place of Professor Kukui. Don’t even bother trying to disrupt them with Judge. Your main goal is to take Prizes as quickly as possible by hitting the 180 combo with Zoroark-GX. Hope that they have to bench Marshadow or Tapu Lele-GX because then you can likely score a 180 KO with Weavile. If this is the case, you should be great. (Though only do this if it forces them to odd Prizes, or if you can do it twice.) Most good players won’t bench the 3rd Ability, but variance is a thing. Against Alolan Ninetales-GX/Stage 2 decks, your main goal is to put pressure on immediately with an early Judge. Their biggest problem is setting up without Beacon, since they plan on using Beacon then searching for 2x Rare Candy with the Ability. If you can Judge them and take a knockout on Alolan Vulpix, you should be able to get a healthy lead and attach Energy to Lycanroc-GX. In this matchup, Weavile and Lycanroc-GX are the OP cards. Banette-GX is entirely too slow and doesn’t offer the draw support that a Zoroark-GX does. Aside from these two matchups, everything else is relatively anecdotal. Against Granbull, kill anything other than Granbull at all costs. KO it with Shady Move if possible, etc. Save Lycanroc-GX for a turn when you miss Guzma. These are all simple things, like not attacking with Zoroark-GX against Buzzwole. Tip: Judge Buzzwole decks as they go into the Beast Ring turn, and of course attack with Weavile/Banette-GX. I suppose this is the one matchup where Counter Gain is effective since you’ll always fall behind. Blow up the Lycanroc-GX since that’s the most problematic card to take care of. As I said previously, this is the other deck I was considering for LAIC. Our group messed around with Nathalia’s list, but all of us were ultimately more comfortable with Zoroark-GX. She was doing well on Day 1, but took some unfortunate losses before ending up out of points contention. The most similar deck that did well on Day 2 was Robin Schulz’s version of the deck with a 1-0-1 Solgaleo-GX. I think this is extremely cool and worth trying. I think that if you add the other Solgaleo-GX (Ultra Road, SUM) then the Zoroark-GX/Control matchup becomes almost an autowin. With Twilight GX and the unlimited mobility of Ultra Road, you should be unstoppable. Above is the list I would’ve played. I found that in testing, it was very consistent at executing its strategy. Compared to the Decidueye-GX version, it’s much more likely to attack with Alolan Ninetales-GX on Turn 2 because of Secret Spring. Counter Gain isn’t required anymore, and the Zoroark-GX/Control matchup is better because you can power through with a big Gardevoir-GX. Likewise, the Decidueye-GX matchup is strong because of the 3 Max Potion and capability of taking OHKOs. In all honesty, there isn’t much to say about the strategy of the deck other than that it functions like a much more powerful version of Broken Gardevoir from last year. This list would absolutely stomp those from last year because of the insane consistency and early pressure from Alolan Ninetales-GX. It’s insane how great this card is in the deck. Looking at changes, I don’t really see any that need to be made. The one, absolute (perhaps) change that could be made is one Switch so that Limitation lock doesn’t happen. That’s about the only change I expect many top tier decks to make from this weekend. 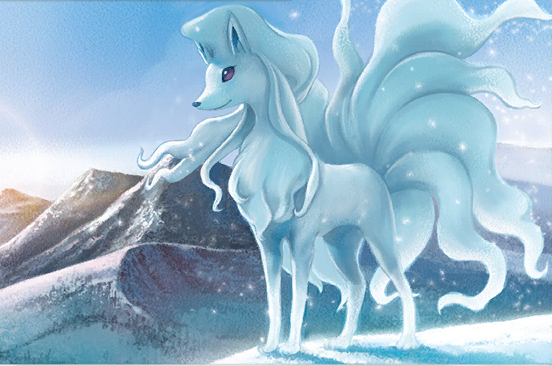 The Switch would be great in many different situations, but is great here because it can be searched for with Alolan Ninetales-GX in other parts of the game. However, I don’t think this is particularly necessary anyways. It’s still possible to retreat Swampert with a Double Colorless + Secret Spring while moving into a Twilight GX. It’s really important to Twilight GX before you run out of Energy so that you don’t get caught by a Counter Catcher + Team Skull Grunt. If you can hit 5ish Energy, Guzma, Energy Retrieval and other stuff, go for it. The main difference between this list and Robin’s is the Elm engine vs. the Lillie/Nest ball engine. I expect to switch to the Elm version solely so I can include more tech cards like the 1-0-1/1 Solgaleo-GX line. This is a more surefire way to beat Zoroark-GX/Control than with the Switch. And anyways, it might not be necessary to play the other Solgaleo-GX. 120 with acceleration is likely good enough since you can place Energy on the vulnerable Pokémon like Swampert (or simply choose not to get it out.) Overall, the Lillie/Nest Ball engine makes the T2 Gardevoir-GX and attacks more likely, but takes up more space and sacrifices the average amount of Pokémon put into play on Turn 1. Step 2: Evolve all of your Ralts into Gardevoir-GX, your Alolan Vulpix into an Alolan Ninetales-GX, and get out a Swampert. Use Super Trade (okay, not the Ability name) to draw Energy cards and attack with Alolan Ninetales-GX. Step 3: Load up Gardevoir-GX, use Max Potion, and draw more cards. In all seriousness, that’s all there is to it. The deck takes less thinking than Alolan Ninetales-GX/Decidueye-GX since there are no Feather Arrows. A majority of your thinking is simply committed to setting up optimally with sequencing and mapping Prize cards. The only differences across matchups are how those Prize cards are taken. Against Zoroark-GX/Control, be wary of Articuno-GX. Against Weavile, never put more than 3 Abilities into play. Those sort of things. Granbull: the deck no one considered to be good until people tested it and saw it was good, then dismissed it as a gimmick, then watched it take down the tournament. Of all of the decks to perform well at LAIC, Granbull is the one that took me most by surprise. It’s incredibly strong in its own right, but it’s also incredibly gimmicky and easy to play around given the right tools. However, that doesn’t mean all decks are equipped with these tools. I mentioned earlier that Zoroark-GX/Stage 1s is favored against it, but only because of Lycanroc-GX and high Guzma. It’s easy for that deck to stream Guzma and play around Diantha. For other decks like Decidueye-GX/Alolan Ninetales-GX, it’s more difficult to play around them while Shrine of Punishment ticks occur continuously. That deck has its own tools like Feather Arrow, but you get the point. 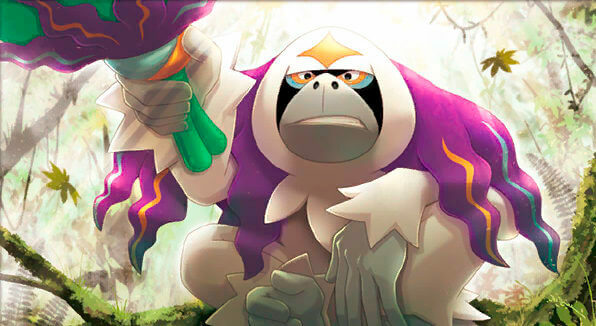 Not all decks can exploit Granbull’s inherent weaknesses. I don’t have any improvements to Tord’s list from LAIC, but it’s the one I like the most from those that succeeded. I know that I would improve the matchup against Zoroark-GX/Control somehow, but it’s fundamentally a (very) bad matchup because of limited Energy supply. However, we’ve seen that be refuted at the hands of a few mistakes in Top 8 of this weekend, so anything is possible. The meta has shaped up to be something of spectacle after the conclusion of the first International Championships. In this post-apocalyptic world, DDG continues to reign strong having won every major (American) tournament. Will they be dethroned at Roanoke? Who knows! Anyways, I think that the meta going into Roanoke will be one largely revolved around Zoroark-GX/Control. Most people will pick a deck with a counter, therefore making the deck largely unplayable by the hands of many. I’m unsure if top players will continue to play it in this respect, but I’m sure there will be a few. Be prepared for it. I expect most to switch off of it to a deck that counters it indirectly, like Blacephalon-GX/Naganadel with Energy Switch or Zoroark-GX/Lycanroc-GX with Oranguru UPR and Switch. It’s amazing what can happen after one tournament, and I’m excited to see how the meta shakes up after the next.